Right – noise. It’s a subset of music that isn’t for everyone – its purpose designed to repel the incurious and the moderate after all – but the visceral appeal of this ferocious, imaginative, DIY anti-music is an international cult affair. For anyone looking for their dose of experimentation and frequency abuse this month then, look no further than Brick Day in Middlesbrough on Saturday 7th October. Taking place in the multi-purpose arts and music space House of Blah Blah, the day boasts sixteen acts (both national and international) to offer a wide overview of the current state of extreme music. Amongst those playing Brick Day are the mixed-media artists Harmergeddon, French performer Romain Perrot (under his Vomir guise), the masked duo Isn’tses, the hand-made instruments of Zero Gradient, drone and improvisational composer raxil4, the rural-informed instrutrial sounds of Power Acoustics and many other fascinating, unique performers and acts that look set to make up a very unique day of music. With the organisers hoping to make Brick Day an ongoing event, it seems Middlesbrough could become a new hub for music’s wildest outposts for years to come. 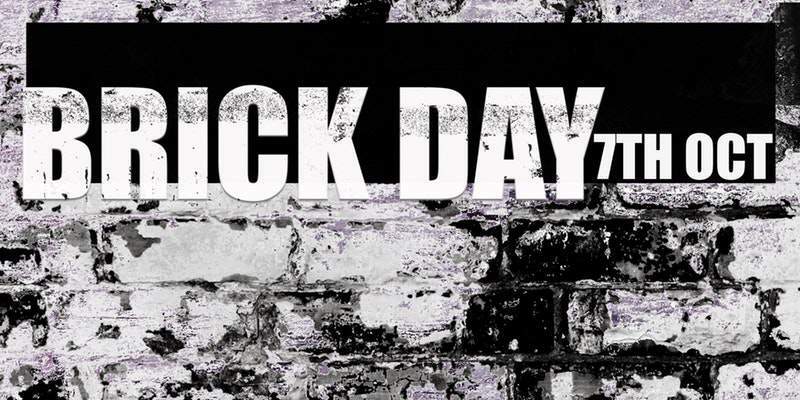 It may not be subtle and it may not be pretty, but Brick Day looks like one to remember. Brick Day takes place at House of Blah Blah, Middlesbrough on Saturday 7th October.